These Terms and Conditions, together with any terms which you clicked-through in the process of purchasing services (an “Order”), our Service Level Agreement (“SLA”) located at (https://viralconnectivity.com/sla/), and the Acceptable Use Policy (“AUP”) located at (https://viralconnectivity.com/aup/), each of which is incorporated by reference, set forth the terms and conditions pursuant to which YCN Media Group (“we”, “us”, or “our”) will provide the Services to you (“Agreement”). Capitalized terms used but not defined herein have the meanings ascribed to them in the Order. We may update this Agreement from time-to-time. In the event of a material change to this Agreement, we will provide you with written notice. Your continued use of the Services following such updates constitutes your acceptance of the same. If you do not agree to the terms of any modification, you may terminate this Agreement in accordance with the Termination section below. You may designate through the customer portal up to four users that have authority to make changes to the account (“Authorized User(s)”). In addition, any other individual who is able to provide us with evidence satisfactory to us that such individual has the authority to act on your behalf (e.g. the last four digits of the credit card used for the Fees) will also be able to access the account. 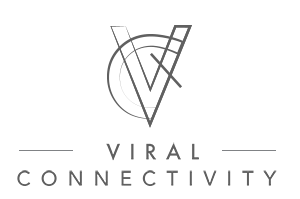 YCN Media Group (“Viral Connectivity”) can not and does not make any guarantees about your ability to get results or earn any money with our ideas, information, tools, or strategies. What we can guarantee is your satisfaction with our training. We give you a 30-day 100% satisfaction guarantee on the products we sell, so if you are not happy for any reason with the quality of our training, just ask for your money back. You should know that all products and services by our company are for educational and informational purposes only. Nothing on this page, any of our websites, or any of our content or curriculum is a promise or guarantee of results or future earnings, and we do not offer any legal, medical, tax or other professional advice. Any financial numbers referenced here, or on any of our sites, are illustrative of concepts only and should not be considered average earnings, exact earnings, or promises for actual or future performance. Use caution and always consult your accountant, lawyer or professional advisor before acting on this or any information related to a lifestyle change or your business or finances. You alone are responsible and accountable for your decisions, actions and results in life, and by your registration here you agree not to attempt to hold us liable for your decisions, actions or results, at any time, under any circumstance. Certain aspects of the Services may be in beta form as designated by us (“Beta Services”). In addition to the disclaimers of warranty set out in this Agreement, the Beta Services are provided on an as-is basis with the express understanding that they may not have been tested, have faults, and may not be as secure as other elements of the Services. Any SLA does not apply to the Beta Services. We reserve the right to terminate the Beta Services at any time, even if you have relied on them as a material inducement to enter into this Agreement. We make no guarantee that Beta Services will be put into production. If you order a dedicated IP address from us, you have the right to use this IP address only during the Term. We provide support through a variety of methods (e.g. knowledgebase, forums, chat) (“Support”). Please refer to https://fromconversationstoconversions.com/ for the most current support information. If you abuse our support staff or any employee of YCN Media Group, we may terminate this agreement and your access to the Services effective immediately. The charges for the Services are set out on the Order (“Fees”). Fees applicable to any renewal Term will be at our then-current rates. Overages may apply if your use of the Services exceeds your plan limits (e.g. exceeding the number of monthly visitors). Additionally, we may adjust the Fees if there is a change to the configuration your sites or your use of the Services (including changes to CPU or RAM consumption, cacheability, bandwidth, visitors, or transfer). You will be charged the Fees beginning on the Effective Date. Our schedule of payments is set out on the Order; if no schedule is stated, Fees are due in full in advance, except that Fees for applicable overages will be invoiced and charged in arrears. All Fees are payable in U.S. dollars and are not refundable. We will collect the Fees by debiting the electronic payment method that you have provided to us. Credit, debit, or other similar sources of payment may be debited up to one week prior to the due date. You must keep the method of payment current and able to be debited. If payment is not made by or on the due date, we may charge a late fee on the unpaid balance at the lesser of one and one-half percent (1.5%) per month or the maximum lawful rate permitted by applicable law, rounded to the next highest whole month and compounded monthly. We may be required to collect taxes on the Services. Taxes (excluding taxes on our income) will be added to the Fees and you agree to pay them, unless you provide us with a valid tax exemption certificate. If you elect to pay via a wire transfer or credit transfer then you are responsible for any transfer fees, which will be automatically added to the Fees. The YCN Media Group Automated Migration plugin must be used within 60 days from account creation. We do not guarantee plugin availability after 60 days from account creation. We do not claim any ownership rights in your content that you provide to us in connection with the Services (“Customer Content“). However, to provide the Services, we need you to grant us a right to use the Customer Content. As such, you hereby grants to us, our affiliates, providers of Third Party Services, and subcontractors a non-exclusive, fully-paid, perpetual, royalty-free, , transferable, revocable, worldwide license to use, modify, publicly perform, publicly display, reproduce, and distribute the Customer Content (in whole or in part) but only to the extent necessary to provide the Services. YCN Media Group and its licensors own all right, title, and interest in and to Services and the systems and networks used to provide such Services (including all system generated data (e.g. performance data)), including all modifications, improvements, upgrades, derivative works, and feedback provided by you or any Authorized User and all intellectual property rights in and to any of the foregoing. You agree to assign all right, title, and interest you may have in the foregoing to us. Except for the express rights granted herein, we do not grant any other licenses, whether express or implied, to any of YCN Media Group’s intellectual property including software, services and products. The term of this Agreement and any Order is one-month starting from the date Customer signs up (“Initial Term”). Upon expiration of the Initial Term, this Agreement and any Order automatically renew for successive one month periods (each a “Renewal Term”) unless one party notifies the other in writing of its intent not to renew no later than thirty days prior to the expiration of the then-current Renewal Term or the Agreement or Order is otherwise terminated in accordance with the terms of this Agreement. Either party may terminate this Agreement and any Order at any time for any reason at any time for any reason or no reason by providing the other party with 30 days’ prior written notice. Additionally, we may terminate this Agreement or any Order immediately if (i) you fail to pay for Services on time, (ii) your use of the Services endangers or negatively affects our networks or systems, violates the law or our AUP, or inhibits our ability to provide services to our other customers. “Confidential Information” means any information disclosed by us to you, either directly or indirectly, in writing, orally, or by inspection of tangible objects (i) that we identify as confidential or proprietary; or (ii) that reasonably appears to be confidential or proprietary because of legends or other markings, the circumstances of disclosure, or the nature of the information itself. You agrees to preserve the confidential nature of the our Confidential Information by retaining and using the Confidential Information in trust and confidence, solely for its use as permitted and in connection with this Agreement. We will have the right to seek an injunction (without having to post a bond) to prevent any breach or continued breach of this section. You agree to promptly report any breaches of this section to us. OTHER THAN AS IS EXPRESSLY SET OUT IN THE SLA, THE SERVICES ARE PROVIDED AS-IS, AS AVAILABLE, AND WITH ALL FAULTS. EXCEPT AS EXPRESSLY PROVIDED IN THE WARRANTIES SECTION, ABOVE, (i) YCN Media Group MAKES NO WARRANTIES OF ANY KIND, WHETHER EXPRESS, IMPLIED, STATUTORY OR OTHERWISE, AND (ii) YCN Media Group AND ITS LICENSORS SPECIFICALLY DISCLAIM ALL IMPLIED WARRANTIES, INCLUDING, BUT NOT LIMITED TO: ANY WARRANTIES OF MERCHANTABILITY, FITNESS FOR A PARTICULAR PURPOSE, NON-INFRINGEMENT, UNINTERRUPTED OR ERROR FREE SERVICE, ERROR CORRECTION, AVAILABILITY, ACCURACY AND ANY AND ALL IMPLIED WARRANTIES ARISING FROM STATUTE, COURSE OF DEALING, COURSE OF PERFORMANCE OR USAGE OF TRADE TO THE MAXIMUM EXTENT PERMITTED BY APPLICABLE LAW. CUSTOMER AGREES THAT OUR SLA CONTAINS CUSTOMER’S SOLE AND EXCLUSIVE REMEDY FOR INTERRUPTION, PARTIAL UNAVAILABILITY, AND COMPLETE UNAVAILABILITY OF THE SERVICES, AND ANY OTHER ITEM SET OUT IN THE SLA. Data Controller/Data Processor. This section applies only to customers that are located in a European Economic Area member state. We are the data controller for the personal data those customers submit through the sign up process (e.g. contact information, credit card number). For all other personal data collected through provision of the Services (i.e. any personal data submitted through supported sites), we are the data processor. Where we are the data processor, we will endeavor to use such personal data only as instructed by the customer and not for any other purposes. Publicity. Upon our written request, the parties will cooperate on and issue a press release, provided that neither party may do so without providing the other party a reasonable opportunity for input. During the term, either party may include the name and logo of the other party in lists of customers or vendors in accordance with the other party’s standard trademark usage guidelines. You will allow our public relations agencies or in-house staff to interview, write, and place case studies and written endorsements in initial news, reviews, and editorial calendar opportunities. You also agree to participate in phone interviews with prospective customers and investors, industry analysts, and review and news editors as requested by from time to time. Governing Law and Venue. This Agreement is governed by the laws of the State of Texas, without regard to its choice of law statutes. Any disputes must be brought in the U.S. District Court for the Western District of Texas, located in Austin, Texas. If that U.S. District Court cannot hear the dispute, the dispute shall be brought before the State District Courts of Travis County located in Austin, Texas. The parties agree that venue and jurisdiction is proper in this court and agree not to contest notice from this court. The United Nations Convention on the International Sale of Goods is disclaimed. EACH PARTY WAIVES ANY RIGHT TO JURY TRIAL IN CONNECTION WITH ANY ACTION OR LITIGATION IN ANY WAY RISING OUT OF, OR RELATED TO, THIS AGREEMENT. The parties further agree that the pricing and terms of this Agreement were made in reliance upon agreement to this paragraph. ARBITRATION AND CLASS ACTION WAIVER. Both parties agree that, except as otherwise provided herein, all disputes (including any dispute involving interpretation, applicability, enforceability, or formation of the Agreement, including any claim that the Agreement or any part of it is void or voidable)will be resolved by binding, individual arbitration under the American Arbitration Association’s rules. Both parties waive trial by jury. As an alternative, either party may bring a claim in Customer’s local “small claims” court if permitted by that court’s rules. Additionally, either party may seek emergency injunctive relief by filing for such in accordance with the Governing Law and Venue section above. Customer may bring claims only on its own behalf. Neither party may participate in a class action or class-wide arbitration for any claims covered by this Agreement. Customer also agrees not to participate in claims brought in a private attorney general or representative capacity, or consolidated claims involving another person’s account, if we are a party to the proceeding. This dispute resolution provision will be governed by the Federal Arbitration Act. In the event the American Arbitration Association is unwilling or unable to set a hearing date within one hundred and sixty (160) days of filing the case, then either party may elect to have the arbitration administered instead by the Judicial Arbitration and Mediation Services. Judgment on the award rendered by the arbitrator may be entered in any court having competent jurisdiction. Any provision of applicable law notwithstanding, the arbitrator will not have authority to award damages, remedies or awards that conflict with this Agreement.YCN Media Group will pay all arbitration fees (excluding attorneys’ fees) for claims less than $10,000. YCN Media Group will not seek its attorneys’ fees and costs in arbitration unless the arbitrator determines that your claim is frivolous. You may opt out of this agreement to arbitrate. If Customer does opt out, neither party can require the other to participate in an arbitration proceeding. To opt out, Customer must notify us in writing, via the following email or mail address, within thirty (30) days of the date that Customer first became subject to this arbitration provision: YCN Media Group, Inc. ATTN: LEGAL – Arbitration Opt-Out, 601 Timothy John Dr. Pflugerville, TX, 78660; and/or, legal@ycnmediagroup.com. Customer must include their name, residence address, and a clear statement that Customer wants to opt out of this arbitration agreement. If the prohibition against class actions and other claims brought on behalf of third parties or arbitration clause contained above is found to be unenforceable or if Customer opts-out of arbitration then all of the preceding language in this section will be null and void and the Governing Law and Venue section shall control. This arbitration agreement will survive the termination of Customer’s relationship with us. The parties further agree that the pricing and terms of this Agreement were made in reliance upon agreement to this paragraph. Severability. Any provision in this Agreement that is held to be illegal or unenforceable in any jurisdiction will be effective only up to the extent of such illegality or unenforceability, if possible, and will not invalidate the remaining provisions of the paragraph or this Agreement. To the largest extent possible, the illegal or unenforceable provision will be restated to reflect the parties’ intent. Notices. Except as otherwise required herein, notices shall be effective when delivered, as indicated by a delivery receipt, or, in the case of notices delivered by post, five business days after being mailed to the designated address by first class mail. Notices to you may be made to the address set out in our customer record or electronically, through the Customer’s portal or via email to an Authorized User. You will send all notices to us at the following address: YCN Media Group Legal Department, 601 Timothy John Dr. Pflugerville, TX, 78660.